I am sure you were searching a lot on google about the possibility to read and write the MDG key mapping programmatically. 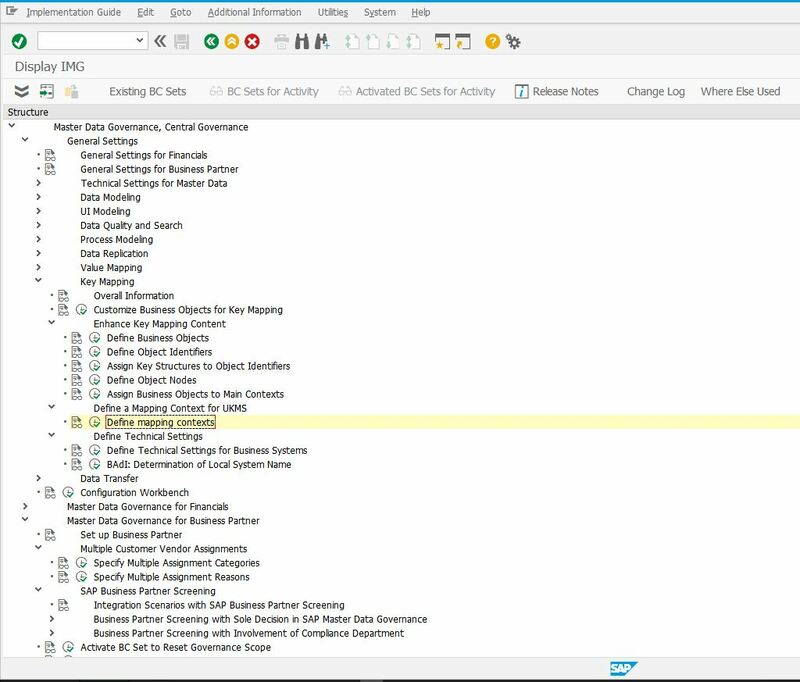 And another example could be that your BI team need to read the key mapping informations from MDG for reporting purpose. But no real examples on how to use that (as usual :D). Don’t worry mate I will help you. 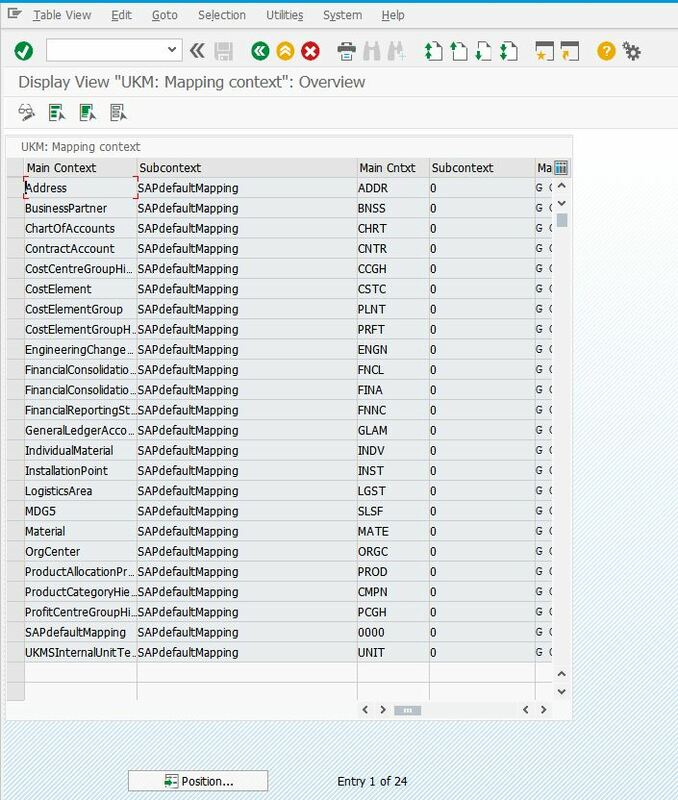 First of all let’s have a look to the standard MDG functionality to read and write the key mapping. Now click on “Search Objects” and all the TARGET ENTRIES will be populated. Ok now keep in mind that OBJECT TYPE AND THE OBJECT IDENTIFIER ARE ENCODED WITH NUMERIC VALUES, and in order to use them programmatically you need a conversion table (that you can easily make in excel). Great!! We found our object identifier and the business object that is linked to them. 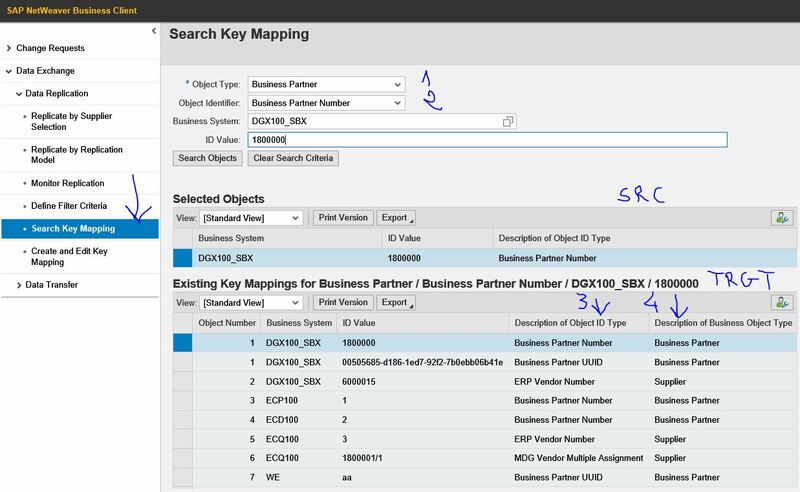 In addition you will need the mapping context (a string -> in our example is “BusinessPartner”) to identify the object type when you programmatically use the key mapping apis, to tell the system that you are doing it for Business partners, materials, etc. 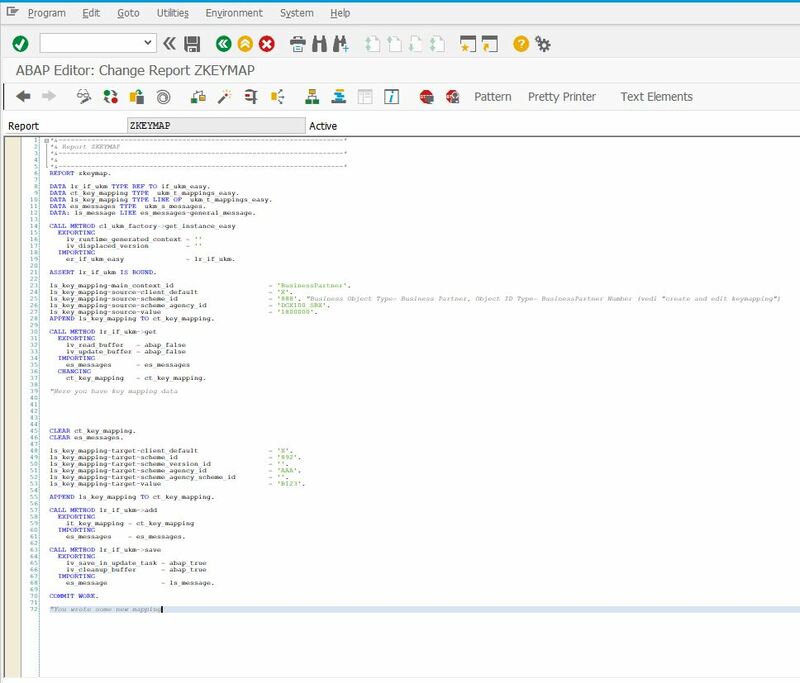 Step 4 – Writing ABAP and enjoying! 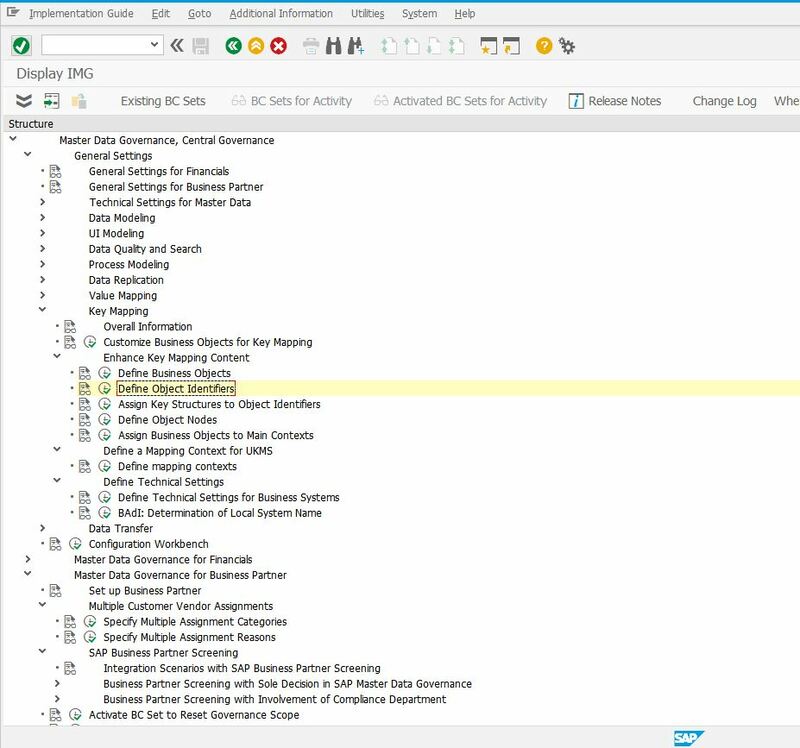 place a debug after the get method to see the same values that we saw before using the webdynpro. 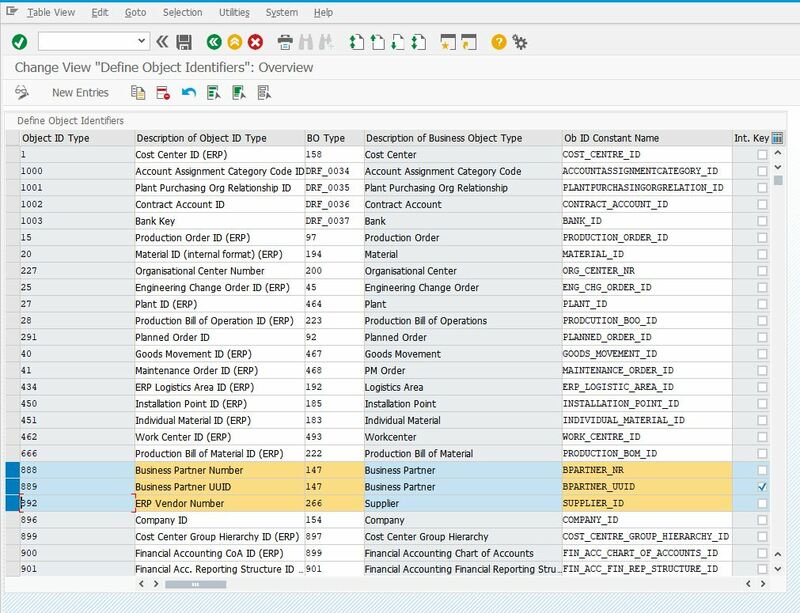 And go to the webdynpro to see the values that we added in abap to the key mapping informations for our BPs! 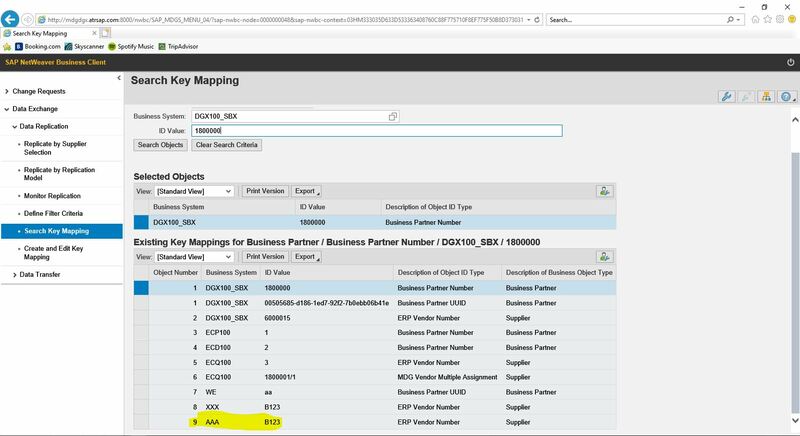 We are using key mapping for BP between MDG Hub into MDG client with internal number range. So KM works perfectly fine. Thanks for providing complete information at one place. This is code is perfectly working for me in Manual Replication of Material. But when we are calling same code in Auto Replication Group Reference is not getting updated which results in wrong results.